If you are facing criminal charges for the first time, you're likely feeling overwhelmed by stress and anxiety. Although most individuals who are arrested are first time offenders, the process for tackling your charges can be confusing. A skilled attorney can help you through these stressful times by guiding you through each step of your legal battle. Skilled legal counsel can be important to avoiding jail time, steep fines, and getting a mark on your criminal record. You situation may seem hopeless, but even in the most difficult circumstances an attorney can help you with your charges. Arizona defense lawyer James Novak can help you fight these allegations and get your life back on track. He aggressively fights for each of his clients to keep their records clear. Communication is key for criminal charges, and James Novak will keep you informed at every step of the way. For those in Maricopa County, including Tempe, Mesa, Scottsdale, Gilbert, and Chandler, he can minimize the stress of your charges. Call (480) 413-1499 today to schedule at appoint so that our legal team can analyze your unique case and get you started down the right path. Although some of these offenses may seem like minor infractions, they should all be taken seriously and hiring a defense attorney can help you fight them. The penalties can include jail time, fines, and a mark on your criminal record. 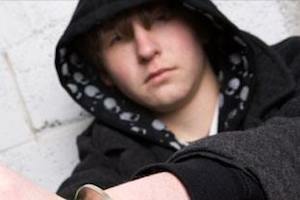 In the cases where a juvenile is involved, there may be an option to have the record sealed. An attorney can help you pursue this option. If you possess a professional license, such as a doctor or lawyer, your career may be affected by even a minor charge. An attorney can help you determine if you are at risk and help you fight to keep your charges from affecting your future. For first time offenders, there may be options available to pursue before going to trial that could prevent you from serving jail time or see your case dismissed altogether. Meeting with Prosecutor - Discussing your charges with the prosecutor for your case, and presenting evidence of your clean criminal history may lead to your charges being reduced or even dismissed. Pretrial Diversion/Intervention - Local state attorney's offices sometimes offer these types of programs for misdemeanor or non-violent charges. The accused can complete an assigned program, such as a driving course or anger management course, and upon its completion the charges could be dismissed. Minor drug offenses can often be cleared with way, with a rehabilitation course taken instead of jail time. Plea Bargains - Sometimes a reduced sentence, including probation or a recovery program, can be negotiated in exchange for a no contest plea. A defense attorney can greatly help to negotiate on your behalf in these situations. First DUIs are among the most common arrests. Any one driving with a BAC over .08 can be arrested, and the accusation will have significant consequences for their lives. Even for a first DUI the potential penalties can include hundreds in fines, jail time, and the installation of an ignition interlock device in your car. All those arrested for DUI face the suspension of their driving privileges, but there is a temporary hardship license that can be acquired by qualified individuals. If you require the ability to drive due to extenuating circumstances or financial hardship, you can request a hearing for the ability to drive to certain locations while awaiting your court date regarding your charges. An attorney will be able to help you with this hearing if you choose to pursue this option. Every arrest can have a lasting impact on your future, making it imperative to seek the help of a skilled defense attorney who will aggressively fight to defend your rights. For those in Tempe, Mesa, Gilbert, Scottsdale, and other areas of Arizona, James Novak is a lawyer that you can count on to pursue a favorable outcome with determination. Call (480) 413-1499 today to schedule your free consultation.